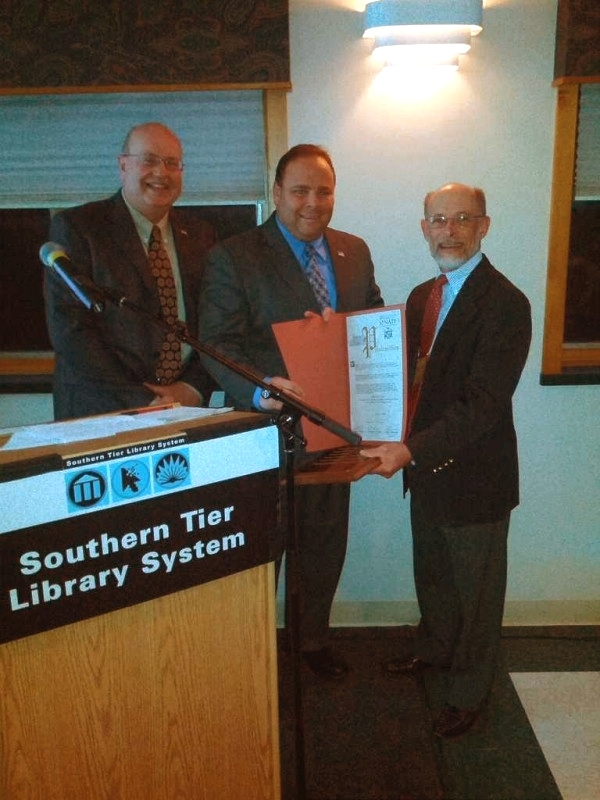 Congratulations to Fred Schulte, Trustee and Treasurer, for winning Southern Tier Library System’s Outstanding Advocate for Libraries Award for his many contributions to the Pulteney Free Library since 1994. We appreciate all the time and effort he has spent as volunteer Treasurer and computer consultant. This award recognizes extraordinary contributions to the development, improvement or expansion of library service to the residents of the Southern Tier Library System. Thank you Fred for all you’ve done for the Library. This year the Library is also a winner of the Southern Tier Library System’s Coordinated Outreach Services Advisory Council (COSAC) Grass Roots Award. 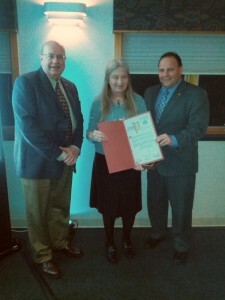 The Grass Roots Award is given in recognition of outstanding library service to members of Coordinated Outreach populations. The Library is being recognized for its innovative work with our technology program at the Senior Lunch Site.